I’m Karen Mitchell. I love our home, good food and wine and travel. As a whole we prefer quality over quantity, in every way. While born right where I’ve landed, Colorado Springs, I was raised in Phoenix. I landed in Black Forest, Colorado after hustling in NYC for a stent of time in my late 20’s. What a gift. Each city holding a piece of my heart, I rest easy in the Rockies of Colorado. My day job is running the photography studio I started building over ten years ago. I adore my child and my husband and really enjoy adding animals to our twenty acres of land. 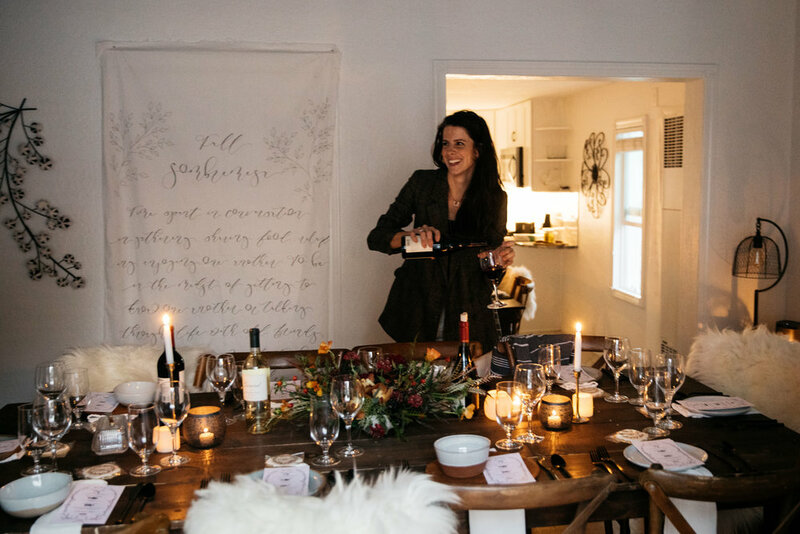 I host events and intimate dinners as often as I can get my husband on board for it. Welcoming people into our home or a quaint venue feeds my soul. I window shop for months before buying and I’m always on the hunt for my next quality piece that will last. Considering me/us for an upcoming collaboration / project? Thank you! Here is a list of a few other things I’ve worked on and a few that I’m looking to expand into.